Time to fill now averages 44 calendar days, an increase of 50 percent since 2010 (Source: CEB). So, if your executives aren’t sold on the need for faster hiring, show them this 20+ list of the severe and real damage that occurs when you hire slower than your talent competitors do. The most impactful damages are listed first under each category. If you want to know even more about proven actions that you can take to speed up your hiring, please join me at the workshop that I am leading on that topic at the Fall ERE recruiting conference. The most compelling reasons for speeding up your hiring process are based on the tremendous cost associated with losing top candidates because your hiring process is too slow. The most significant economic costs are highlighted below. Lower-quality hires — because top candidates may be gone within 10 says. Slow hiring guarantees you will hire weaker performers, who are of course the only ones still available after 30+ days. If these lower-quality hires stay for years, you must add the cost of these multiple years of lower performance to your total cost of slow hiring. Direct revenue loss — the most obvious cost will be the un-retrievable revenue lost due to long position vacancies in revenue-generating positions. Not only will position vacancies in sales jobs cost you revenue, but may also cause you to lose customers. Lower productivity — you lose the opportunity to get work done when a position is vacant for even a single day. Having multiple vacancies as a result of slow hiring will dramatically impact the productivity in individual jobs and throughout the whole team. Loss of innovators — because most firms target innovators and machine-learning professionals, they are gone the fastest. Slow hiring will mean that you will experience permanent talent shortages in these critical areas. Losing talent to a competitor — because slow hiring may cause “in-demand” top talent to accept offers from your competitors. You have to include the costs of losing talent to your competitors because it helps their bottom line. Track (on LinkedIn) where your lost top candidates ended up to find out if your competitors benefited from your slow hiring. Losing a competitive advantage — even though the average time to fill is 44 days, using a pipeline hiring approach lowered Nestlé Purina’s time to fill to zero days in 43 percent of its hires. At one of its factories, 100 percent of the jobs were filled before they were needed. Speed gives all fast hiring firms a distinct competitive advantage, which is essential when you are fighting for talent. Speed hiring results in millions of dollars of economic impacts to your firm because it allows you to get much more than your fair share of top talent. A bad experience may cost you product sales — a long, drawn-out hiring process certainly degrades the candidate experience and that may lead to two-thirds of your rejected candidates disparaging your firm on social media. If poorly treated candidates are current customers, a bad experience can result in up to 15 percent of them becoming former customers. Co-worker stress — teammates must work harder to fill in when positions on their team are vacant. The stress and overwork may also result in more errors, lower quality output, and possible turnover. Higher salary demands — the longer a top candidate is in the job market, there is a higher likelihood that they will demand more money and be more expensive because multiple firms will be bidding on them. However, if you hire quickly when a top candidate has only applied at your firm, you won’t have to offer them higher salaries, because there has been no competitive bidding yet. Obviously, candidates want a fast hiring decision, so slow hiring will negatively impact how they act. More will drop out — when there are slow hiring decisions, your in-demand candidates will have abundant time to rethink whether they want to work at your firm, which increases the chances that they may drop out of the hiring process before your firm begins interviews. They may also drop out because they get “bird-in-hand” offers from other firms or because they simply need the income immediately. Intuit now, frequently, provides same-day offers to minimize the loss of top candidates who simply won’t be available if there is even a minimal delay. They will continue to apply elsewhere — slow hiring creates major problems because it provides applicants with more time to keep applying to other firms, and increasing their frustration will cause them to lose interest in your firm. In contrast, telling them that the decision will be made quickly (name the approximate number of days) may discourage further applications to other firms. Lower offer acceptance rates — innovators and candidates routinely view their experience with the recruiting process as a reflection of how the firm operates. So, they may assume that slow hiring decisions are an indication of how fast the rest of the firm makes decisions. That discouraging thought will make them more likely to drop out or reject your offer. Fast hiring and keeping top candidates interested up until the end will likely increase your offer acceptance rates. They may never reapply — because slow hiring will frustrate rejected candidates. That frustration increases the odds that they will never reapply to your firm. Your organization’s slowness will negatively impact your employer brand and the possibility of future applications. Frustration results in spreading negative comments — a drawn-out hiring process gives current applicants ample time to spread the word about their frustrations to their friends and colleagues. Discourage applications — after the hiring process is over, frustrated candidates will post negative reviews on Glassdoor (which allows negative comments related to slow recruiting) and that will discourage many of the people who are considering your firm to reconsider making an application. It may cause you to receive lower rankings — because a bad candidate experience is part of the criteria for ranking “best place to work” firms, slow hiring may negatively impact your ranking on these important lists. Slow hiring may have multiple negative impacts on hiring decisions and on recruiters. 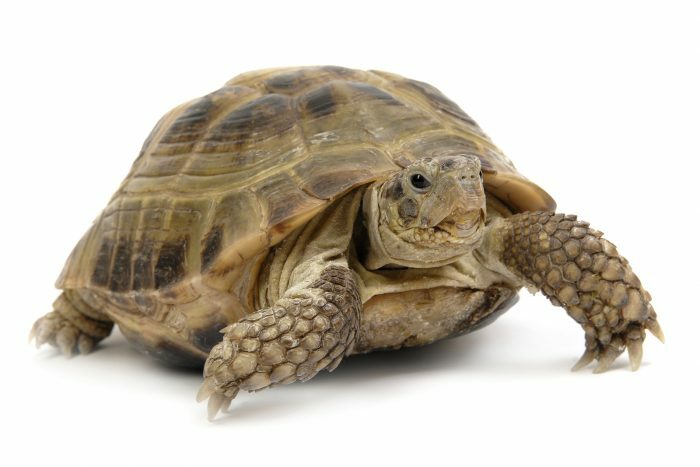 Slow makes comparisons difficult — when you are interviewing multiple candidates over a long period of time, it is harder to make side by side comparisons because the interviews are spread so far apart and this time spread may lead to costly mis-hires. Managers will decide to just end it — during a long drawn out process, hiring managers will, unfortunately, often make a hasty decision just to put an end to the frustrating hiring process. The “let’s settle on this one” approach may also lead to costly mis-hires. Recruiter frustration — slow hiring may impact recruiter energy, effectiveness, and even turnover. The morale of recruiters increases with hiring closures. Missed diversity — because highly qualified diverse candidates in key jobs are always in high demand. Hiring slowly after other firms have made an offer will likely have a severe negative impact on diversity hiring. A slow hiring process can also frustrate hiring managers and waste valuable corporate resources. Reluctance to hire again — after experiencing a long delay between a requisition and the starting date, hiring managers may put a low priority on hiring, and they may even be reluctant to hire again. Wasting a manager’s time and budget — if too many interviews are one of the primary reasons for slow hiring, managers won’t be able to complete all their managerial work if your top choice becomes unavailable due to a slow hiring process. The entire recruiting process may have to be re-opened, which will take even more manager and recruiter time and dramatically increase your recruiting costs. Fast hiring is especially important during times of low unemployment because the competition for talent continues unabated and retention rates continue to skyrocket. Recruiting leaders must realize that the “magic bullet” solution is speed hiring because speed hiring not only fills vacant positions faster but also allows you to beat the competition for top talent. If this article stimulated your thinking and provided you with actionable information, please take a minute to follow or connect with me on LinkedIn.